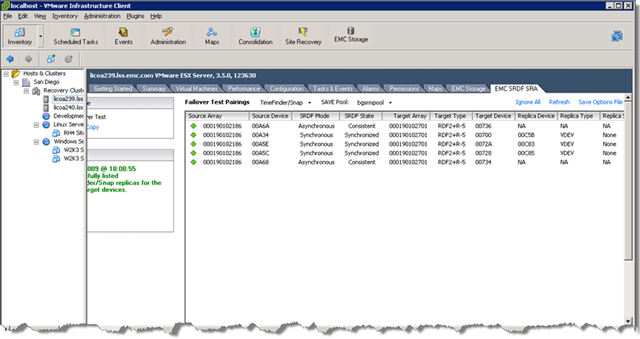 HI All, during the last month i was very busy installing VMware SRM at different EMC customer sites, this product is really picking up here and it never stopped to amaze me how simple and effective this product is. 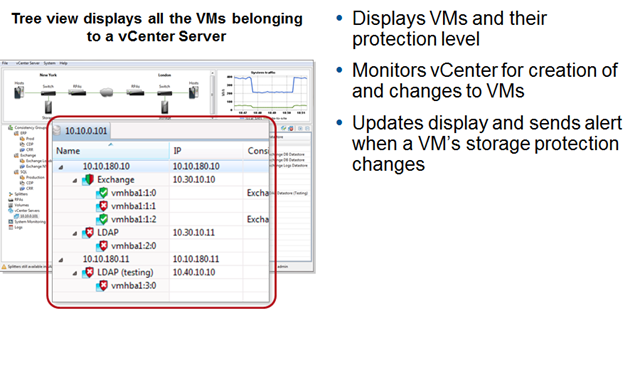 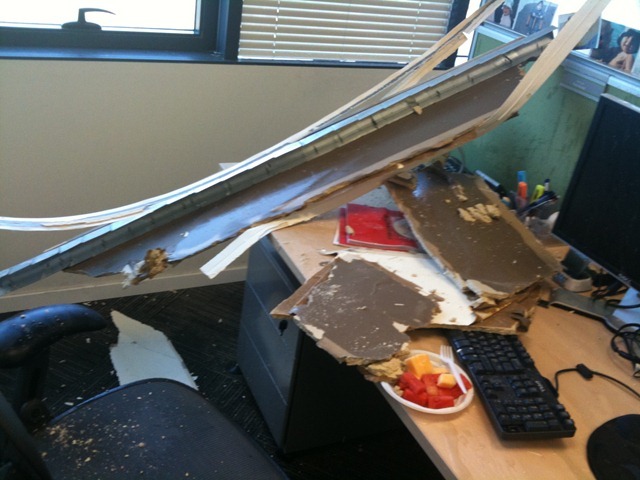 It also caused me to write a post about vCenter SRM, mainly about how to perform an automated Failback..
Any change in this protection status, such as a virtual machine moving from being fully protected by RecoverPoint to being partially protected by RecoverPoint will result in RecoverPoint logging and raising an alert. 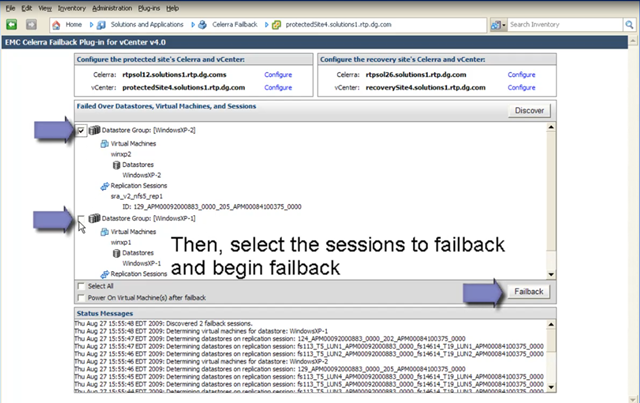 The EMC RecoverPoint failback tool is a plug-in to VMware vCenter Server Virtual Center, just like Site Recovery Manager. 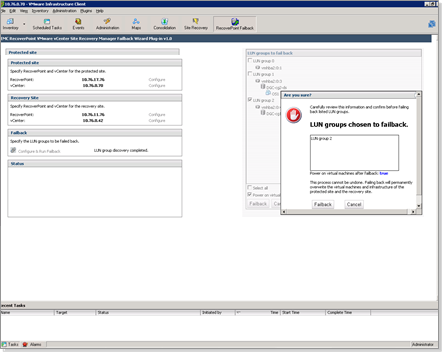 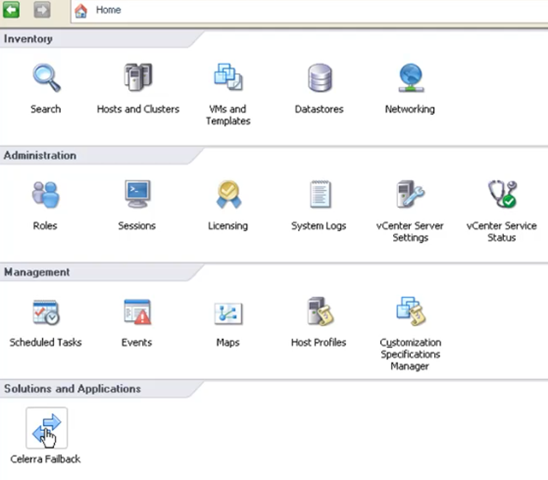 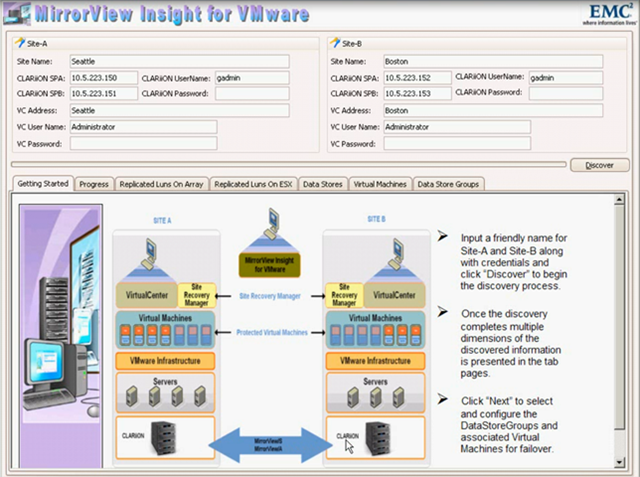 Once installed, users have access to the features and steps necessary to automate the failback process after Site Recovery Manager has been used to mitigate a disaster. 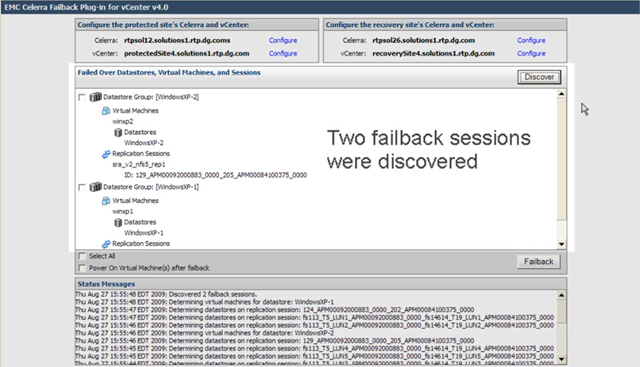 Similar to Site Recovery Manager, users configure the relationship between the Site B and Site A, identify those LUNs that have been failed over, and simply press the failback button—RecoverPoint handles the rest.